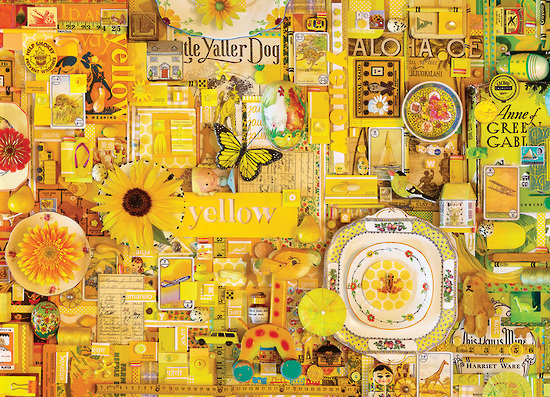 This very special 1000 piece puzzle by artist Shelley Davies celebrates all things Yellow. It's one in a series of seven puzzles that make up a rainbow theme when all are completed and aligned next to each other, spanning nearly 5 meters. Ribbons of the word, "yellow" are spelled out in multiple languages, along with knick knacks and a pencil with the artist's name on it. Beatles. Eight Days a WeekSeed Pack Art. Iowa Seed Co.